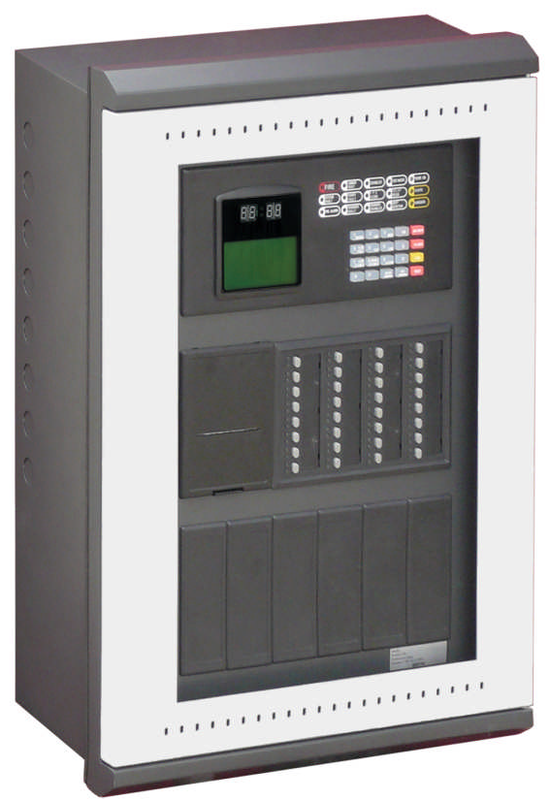 Fire Projects has supply, install and test and commission GST 200-2 single loop and two loop addressable fire detection control panel with up to 242 devices per loop, the system is packed with features that are not usually associated with smaller and medium systems. The GST 200-2 provides a high quality solution at exceptional value. By utilizing advanced GST Protocol, the system is compatible with the complete range of GST intelligent Detectors, Sounders, Call Points, Interfaces, including gas extinguishing controls. Networkable with all GST intelligent fire control panels the system can be expanded up to a maximum of 240 GST panels (over 48,000 devices). The GST 200-2 is manufactured and certified to EN54 parts 2 and 4 and to BS5839 Part 4. By utilizing the GSTDef2.1 programming facilities enables advanced and complex cause and effects to be programmed with ease, including phased and cascade evacuation scenarios. The GST zone indication and control facility allows the operator to manually intervene, with evacuation and control of each zone, including control of all plant equipment under an alarm condition. Maintenance report of dirty detector, pre-alarm signal and are built in as standard, making the system ideal for many applications such as banks, shops, telecommunication centres and GSM exchanges, industrial and commercial facilities. Fire Projects has successfully commission and does programming of GST 200-2 intelligent 2 loop addressable fire alarm control panel as per customer needs. Selecting Fire Projects for new implementation of GST 200-2 addressable fire alarm control panel is most effective fire alarm system for small to medium size organization, offices and building. We support our clients from Designing up to Commissioning up to AMC. We also provide AMC–Annual Maintenance Contracts for all types of Fire & security Systems. If you required new installation or AMC of fire alarm system, contact Fire Projects today!